We are using different types of computer data files in our daily life and the most common one among them is the DAT file. This is a container file that can contain any type of computer data including multimedia files. If you want to view a VCD clip or a movie that is in the DAT format you need a DAT converter to extract and see the movie in any of the devices you have. Though there are many types of VCD DAT converter available in the market, Aimersoft Video Converter Ultimate is one of the best among them. With Aimersoft Video Converter Ultimate, converting DAT files on Windows-based computer (Windows 8 included) is no easier than this. 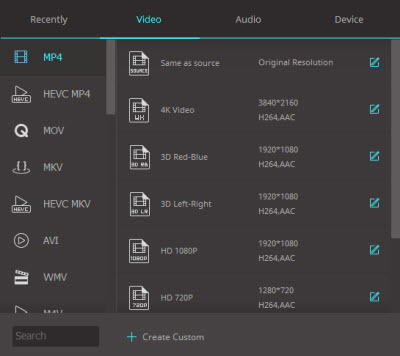 It is also an ideal solution to convert any other types of video/audio files into various formats like AVI, MP4, MPEG, MP3, AAC, M4A and more. Not only that, this VCD DAT converter is easy to use and can handle batch video/audio conversion with efficiency. Besides, there is also a Mac DAT converter available for Mac users whose computer is running Mac OS X (Mountain Lion). 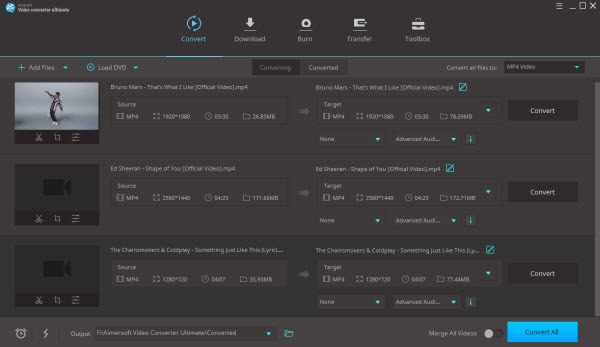 This video converter is also built with a versatile video editing tool that allows you to touch up the videos as you wish. Converting DAT files to other formats like AVI, WMV, MOV, MP4, 3GP, FLV, etc. only needs a few simple clicks. The guidance below will show you how to achieve this by detailing the specific steps. Note that all the screenshots are taken from the Windows version of DAT converter. When you want to do the conversion the first thing you have to do is to bring the DAT VCD files into the video converter. This can be done in different ways like using the Add Files button or with drag and drop method to import the files into the main window of this converter. 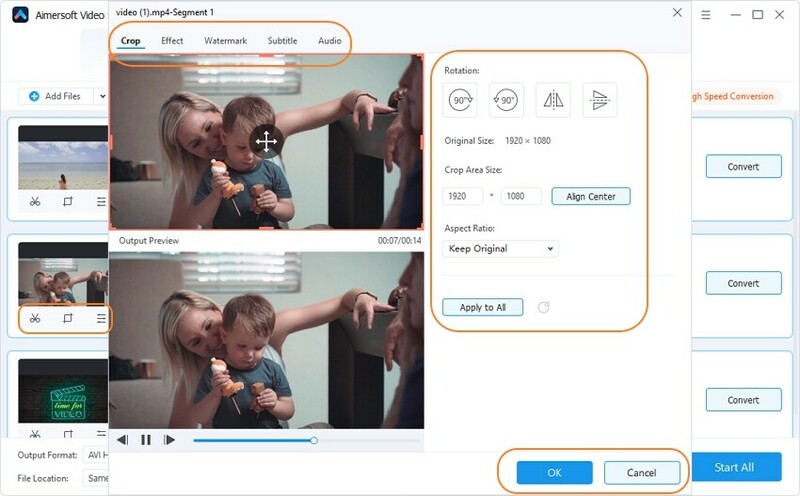 When the files are loaded in the DAT video converter, you can perform some basic editing functions like cropping, trimming, level adjustments, rotating, merging, adding watermarks and more. Now you need to designate an output format. This is the step where you specify the video converter in which format it has to convert the DAT files you have given for conversion. To help you select the format correctly this video converter comes with a graphic interface listing out all the file formats available for conversion. Destination Folder: Now is the time to tell the VCD DAT converter where you want your converted files to be stored and this is the place where you can get your converted files. After finishing all the above steps, now is the time to convert your DAT VCD files into any of the formats and this can be done by just pressing the Convert button. Look, it is easy as pie. Aimersoft Video Converter Ultimate is your ideal solution for converting your DAT VCD files into any of the formats you want in an easy and effortless way. So, go get this DAT file converter and enjoy all your favorite movies and video clips in all your devices at any place you want.